Lamb numbers were expected to fall back this year as the English breeding flock contracts and producers look to get stock to market before Brexit. Numbers of breeding ewes have fallen further than expected in England, with the knock-on effect of a significant decline in the lamb crop for 2019. The size of the English breeding flock was recording at 6.4 million head by Defra in December 2018, a decline of 4.4 per cent. AHDB was currently forecasting about 4 million old season lambs to be slaughtered between January and May 2019, a 4 per cent year on year decline, with over a million of these already having come forward during January. Sedgemoor auctioneer Paul Ashton said they were expecting fewer lambs to be available with a large number lost in last year’s snow. “We have sold quite a number of lambs already," said Mr Ashton. "The weather has been very good. I am expecting them to go short." He said a lot of farmers were nervous about the threat of tariffs post-Brexit and were trying to finish before the end of March. 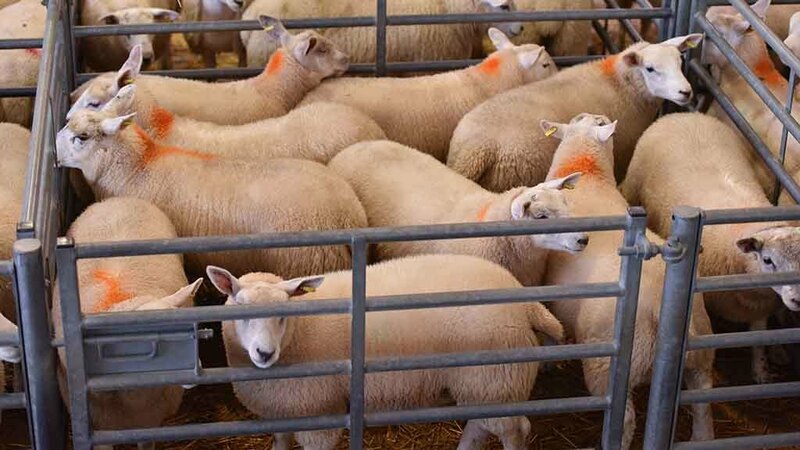 In Scotland, Lawrie and Symington auctioneer Archie Hamilton said the national flock had gotten smaller, but with the way the trade stood, it was not necessarily a bad thing. He added Easter was the big trade for sheep and there was ‘no way’ France and Germany would get meat from elsewhere, with New Zealand and Australia focusing on the Chinese market. He added he did not think there was any need to panic and hoped numbers would stay nice and steady rather than flooding the market. Jonathan Evans, Welshpool auctioneer, said there were a lot of heavier lambs around which were difficult to sell. With Brexit, he said people were frustrated, but played down the effect it could have on the market and farmer decisions.